Eleaf Lemo 3 Mouthpiece packs with excellent characteristic of heat insulation. 5pcs each pack. Get them as spare parts for your Lemo 3. 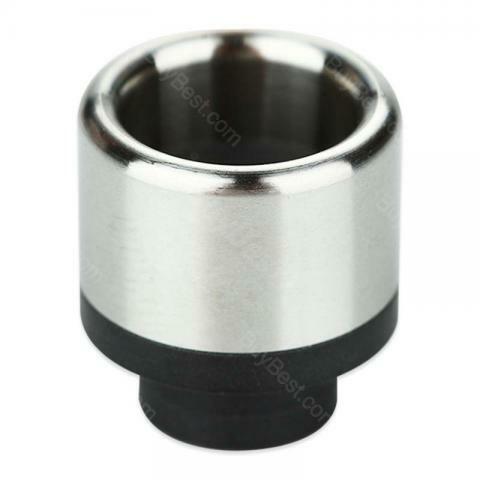 5pcs Eleaf Lemo 3 Replacement Mouthpiece, the metal mouthpiece packs with excellent characteristic of heat insulation. 5pcs each pack. Get them as spare parts for your Lemo 3. • It's for Eleaf Lemo 3. I recommend it to Mtl customers. The seller knows his business. It came without problems. Thank you very much. Eleaf Lemo 3 Mouthpiece is a 5pcs Eleaf Lemo 3 Replacement Mouthpiece per pack. It is made of metal with excellent characteristic of heat insulation.